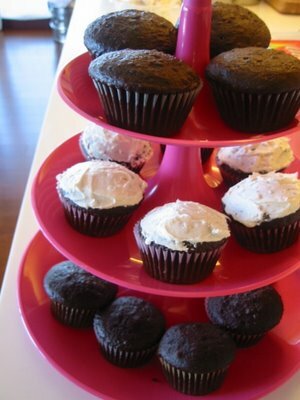 Cupcakes are a trendy thing in the US right now.. but pretty much non-existent in Taipei. Even though there are tons of bakeries that have mini-cakes, tarts, breads and even Hello Kitty pastries, you just don't see cupcakes. So if you are craving one, it's much easier to make your own, although I'll admit that I brought the mix and frosting back from LA. 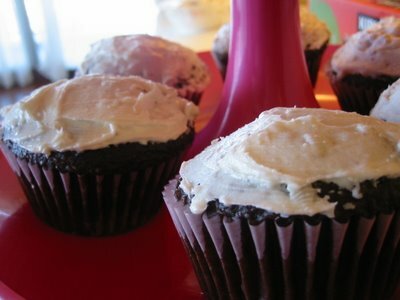 Today I made chocolate cupcakes with cream cheese frosting. Not everyone likes frosting, so I only frosted some of them. I know there is one bakery that does sell cupcakes- Ginjer- but I haven't been there yet. I've heard their selection is slim, but good. I guess demonstrating the lack of popularity for cupcakes from the Taiwanese palate. Or maybe they just haven't discovered them yet. Unfortunately, the topping I got, red bean with mochi balls and evaporated milk was not that satisfying either. I think it was because they dumped the milk on top of the toppings instead of on top of the ice, which I prefer. It was too dense and mushy for me to be satisfying. And it wasn't cheap, as shaved ice goes. 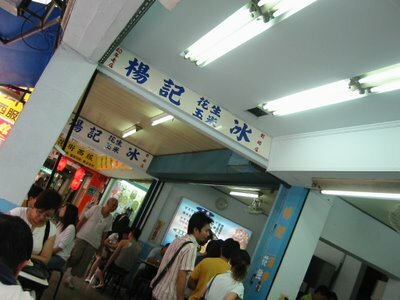 It ran about NT$50-80 a dish, since they add charges for additional toppings and milk. I actually prefer the more basic shaved ice in the shaved ice alley in Hsi Ming Ding. Sorry I don't know the street other than it's off of Hsi Men Ding. 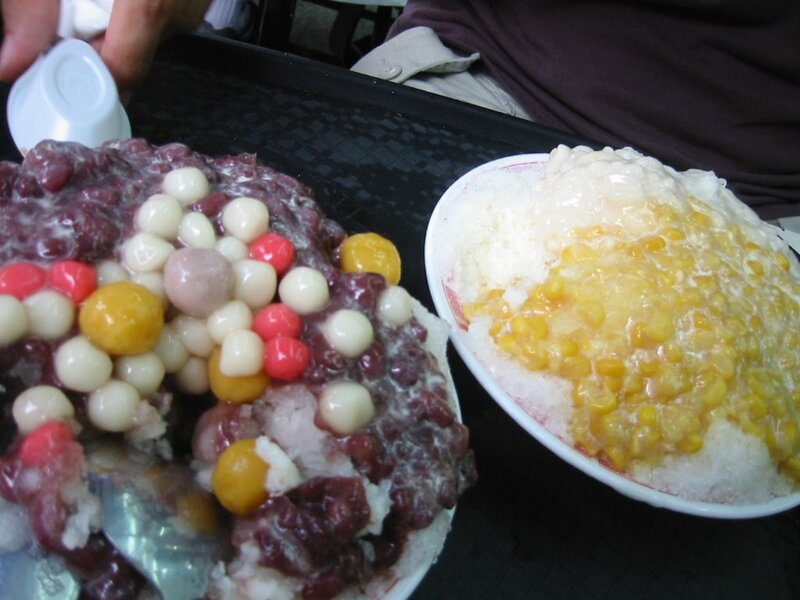 I tried googling it to try and find more info, but all I found was that they also put creamed corn on top of shaved ice in Malaysia and Singapore. I suppose if you really want to try it, you can ask around that area for "Yang Ji Bing," as "bing" is chinese for ice. 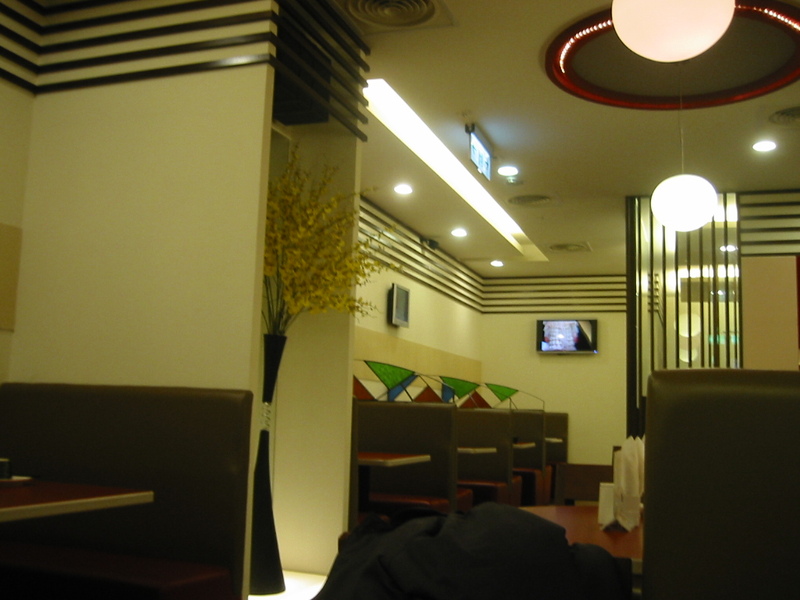 The shop was very busy even with a lot of seating, and there is usually a short line. The signage says they have been around over 40 years, so local neighbors should be able to point you in the right direction. 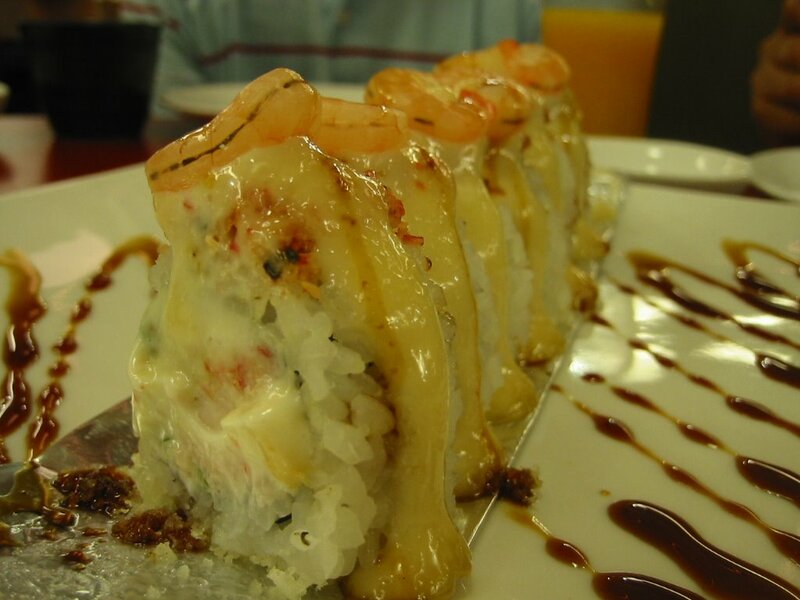 Everything is chinese, but you can point at the toppings. I would recommend it if the toppings pique your curiousity, otherwise, I would stick your favorite shaved ice locale. I suppose the key to ANY buffet style venue is to go early. Everything will look beautiful, you will get to have the first pick of array, and everything will be freshly made. You will get to have the first slice of desserts, or the first scoop of fruits, rather than having to settle for other people's leftovers. 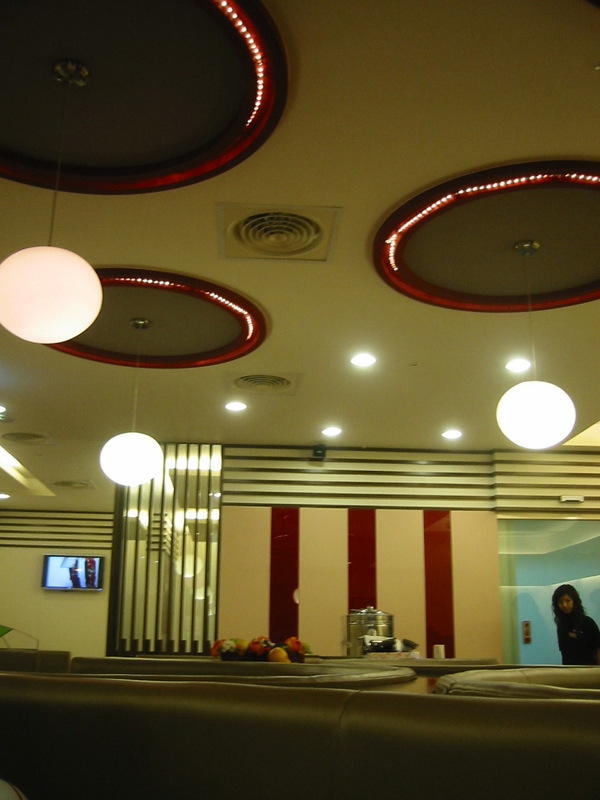 My second experience to Cha Lounge was very different from my first one. 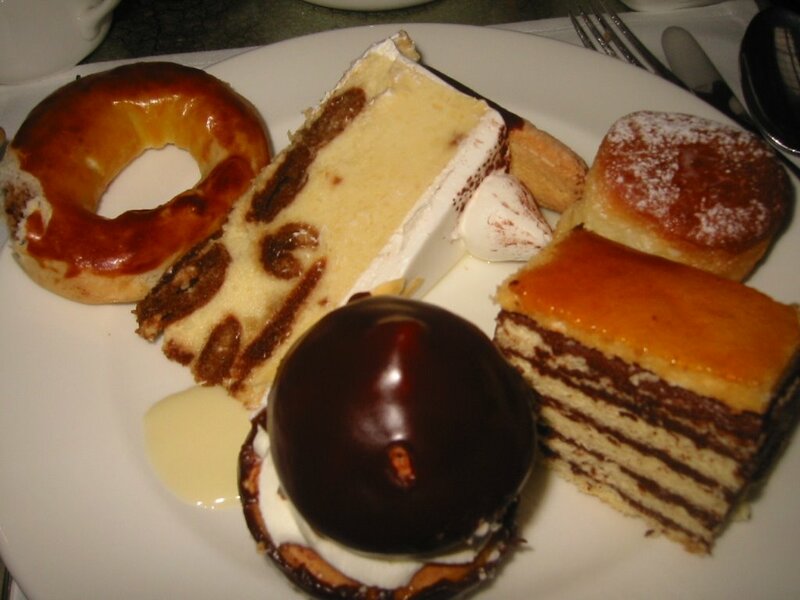 This time, the cakes stood up straight, there weren't missing elements in the buffet, and we didn't feel rushed. While I still think it's quite expensive for afternoon tea at NT$600 or US$18 (I have since discovered a lot of coffee shops and different places offer afternoon tea to drum up business during sleepy hours), it's a place you could go with a bunch of girlfriends to treat yourselves, or to have a business meeting where you could charge it to the company. 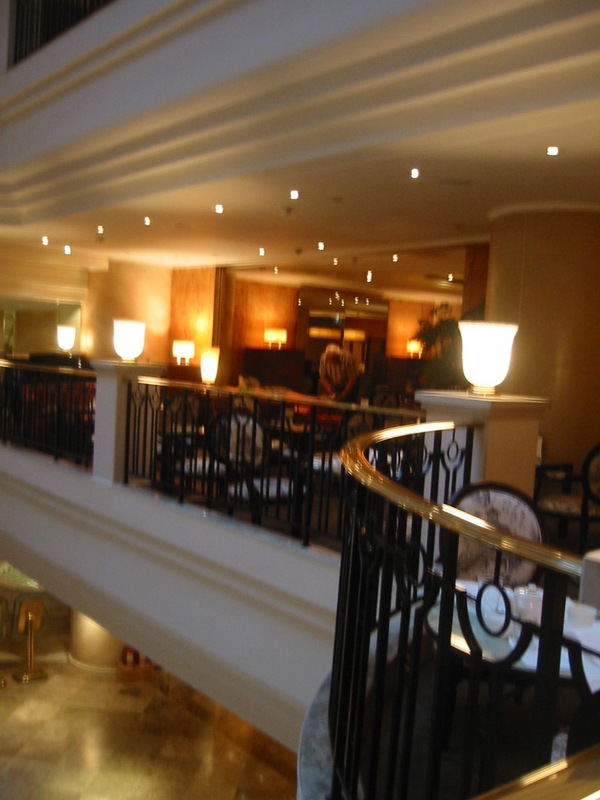 The lounge is quite stylish and the Hyatt is very easy to find. 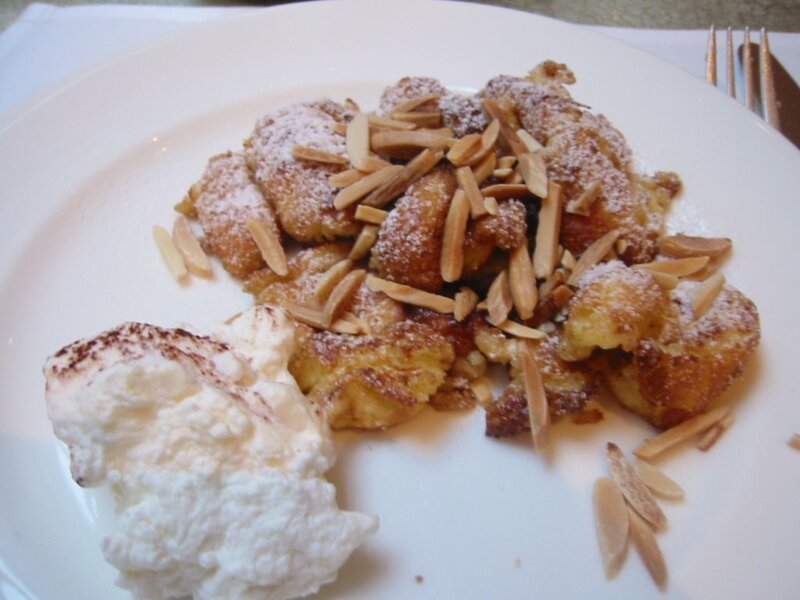 Their assortment of desserts varied from cakes to ice cream to fruit tarts, as well as the chef station, which apparently they change up every so often. Nothing too special, but a lot of variety. Last time, it was sauteed strawberries. This time it was some mysterious funnel-cake like pastry, though it was not crispy or sweet like funnel cake. Unforunately, it looks better than it tasted. So though this post is to soften my previous "do not recommend" to a try it if you want to try it. I ended up here since my friend wanted afternoon tea and Joyce East closes theirs at 4:30pm. Just be sure not to go the last half hour or so. There's not much left and they promptly remove everything on the dot of their closing time. The peking duck was awesome. I love the touristy experience of the chef carving the whole duck in front of you into bite size slivers. 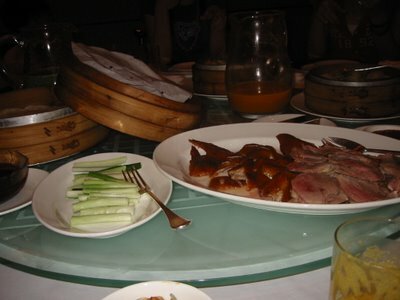 The plate of duck was beautifully presented, and definitely fulfilled my craving. The paper thin pancake, the hoisin sauce, the green onion, and the duck with crispy skin all made a perfect little peking duck dance in my mouth. Unfortunately, the rest of the food we ordered was surprising disappointing. The dumplings were subpar and sat on the table uneaten. I can't even remember what else was ordered. Ja jiang noodles. Unfulfilling. An egg omelet thingy. The service was unnecessarily fussy (wanting to split the dishes onto little plates and serve them, rather than us serving ourselves). 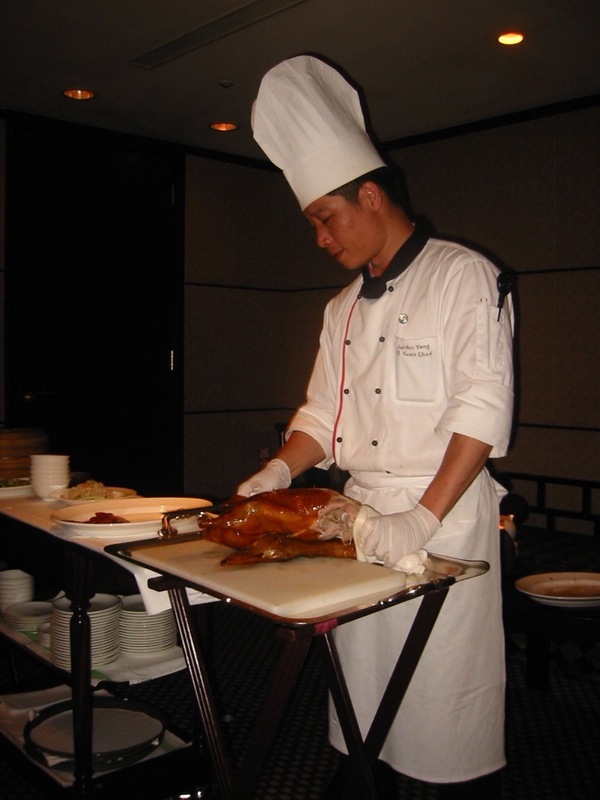 At hotel restaurant prices, you should book your peking duck (NT$1500) in advance during your reservation, take the leftovers home to eat and don't order anything else! Enticed by the combination of strawberries and chocolate cake, I got an assortment of cakes to share (NT$50+ each). However, like many Taiwan cakeries/bakeries, the cakes were tweaked for the Taiwanese palate. Rather than being fulfillingly chocolately, the cakes were light and sponge-cake like and not chocolately at all to my disappointment. The frosting was too sugary and one of the cakes had cherries instead of strawberries (to my mistake) which I don't like. 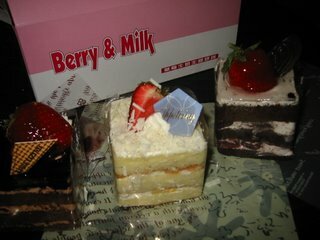 So if you prefer your cakes on the lighter side, you can try Berry and Milk. 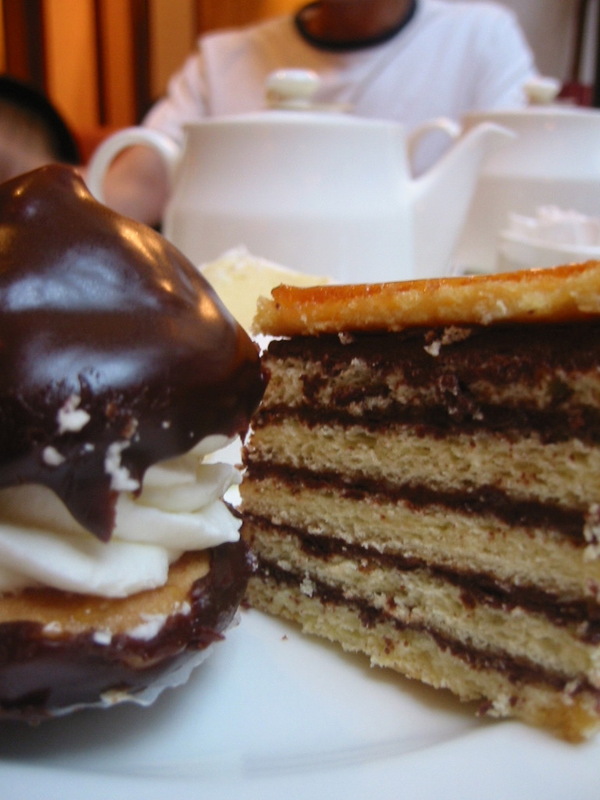 If you are looking for a chocolate cake fix however, don't get your cake here. Personally, I was underwhelmed. They also have a range of assorted tarts and pastries with strawberries that looked appetizing- you might try to find this chain if you love strawberries. to revamp or not to revamp? I started this blog originally with the idea of posting some pics, thoughts and phone numbers to make future reservations... as I got more into it, each post took more time.. I wanted to get the reviews just right and capture my experience. I started having a backlog of drafts of posts that I was juggling, and the memory of my experience of eating it would get further away from the time I had time to post. So now, I'm going to try and post closer to when I'm actually eating what I'm eating.. to document.. even if I only have time to put down a few thoughts instead of a full review.. I wanted this to be a resource for other people like me living in Taipei and unsure where to eat, but I haven't gotten much feedback, so I will try out this new mode since it is my blog. haha! So look for a flurry of activity in the coming week, as there have been a lot of places I've been wanting to blog about, good and bad! Sushi. To some people it means raw fish, or sashimi. I personally was not a big fan of sashimi until I was introduced to some of the freshest sashimi I've ever had about 7 years ago. 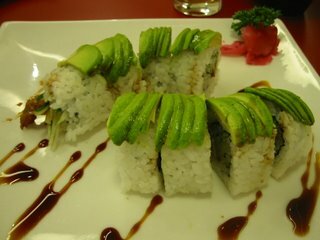 So before I dared to eat sashimi, my definition of sushi were sushi rolls, like California rolls. 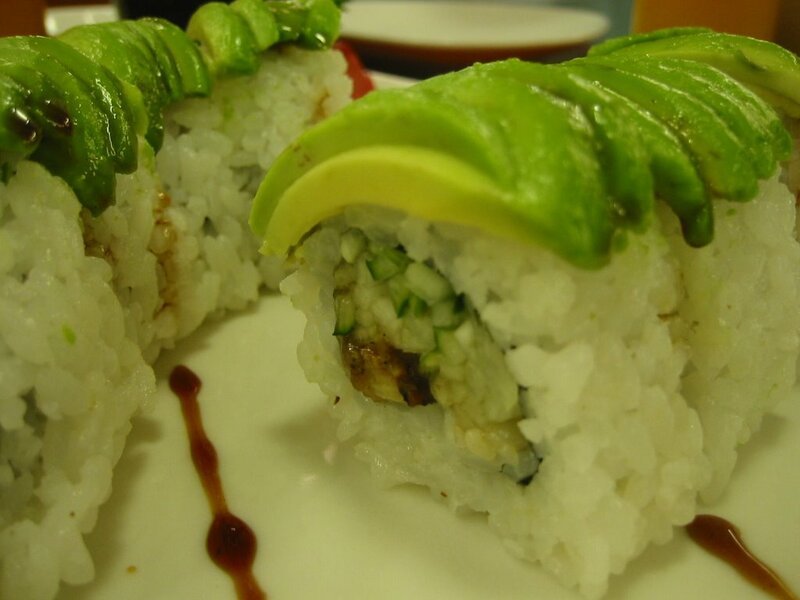 Are rolls typically an American phenomenon? They definitely seem harder to find here than in LA, where I have become accustomed to the crazy diversity of "make-up-your-own-combination" of ingredient rolls if you don't find what you want here. Rainbow rolls, spider rolls, catepillar rolls. Or the more random "da bomb," "woody," "hole in one," "sunnyscape," or "cesar" rolls from California Roll Factory in West LA. So I was very excited to hear about and try Niko Niko Roll and Sushi which was supposed to feature over 30 types of rolls. 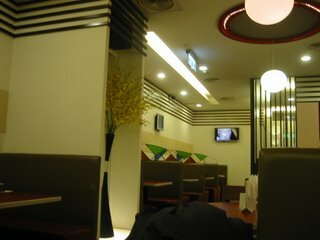 Their diner-like atmosphere is a bit of strange setting for Japanese food, but a sign of the "fast food" sushi that was to come. Actually, the almost empty room should have been a bigger sign, but I thought it was the random location on the 6th floor of a mall. The menu has lots of pictures, and sorts the rolls into categories like Pretty rolls, Seafood rolls, Warm rolls, Spicy rolls, Vege and Crunch rolls. They have English names for the various rolls like Grand Canyon or BLT roll, but no English descriptions of what are inside each roll. The waiter is not a lot of help, so unless you have someone in the party to read the Chinese descriptions, you kind of have to just go by the pictures. We got one from each category. The rolls reminded me of rolls I had from the chain Sushi Mac. If you've ever eaten there, they sell rolls for US$2 each. However, it kind of tastes like what you are paying for. 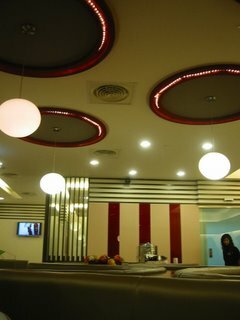 And though the prices at Niko Niko are not that cheap, they seem to have skimped on the things that might notice. The eels were thin. The shrimps were small. The crab was more fake than fake. The avocado constantly fell off the catepillar roll. The rice and rolls were mushy. In our rolls that contained eel, the eel was sliced so thin, I felt like they had taken a normal piece and sliced it into 4 or 5 slivers to hide in the roll. Instead of appreciating the tastes of each roll, unfortunately each roll tasted the same as the next. For some reason, I haven't had any good spicy tuna in Taipei. The spicy tuna we had here was just hot and I think there were onions in the roll? 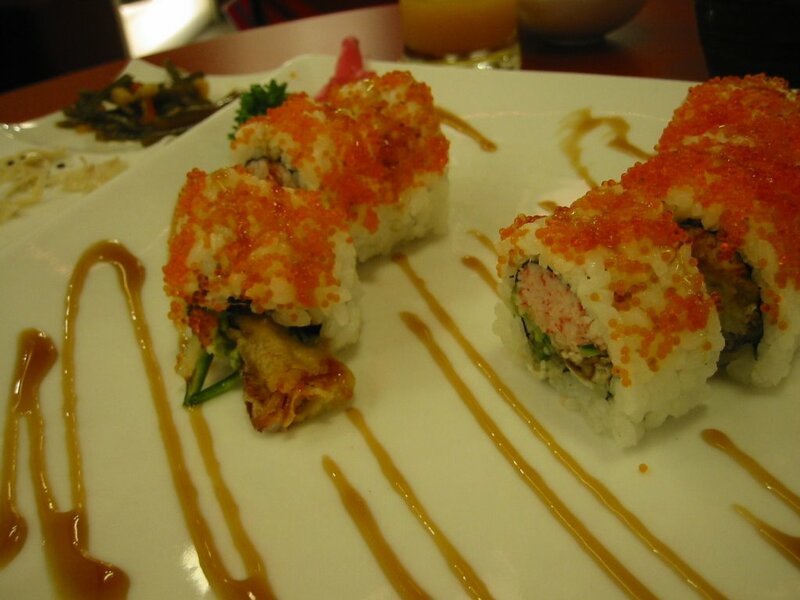 The warm roll we ordered was baked and strangely appetizing, but you could not tell what was in it at all! The rolls here made me miss the roll with the jumbo clam in it from Hide and the spicy tuna rolls from Nijiya. They also have combos and teriyaki, tempura, sukiyaki type meals that actually looked pretty good. The table across from us had opted for the recommend combo which delivered both sushi rolls and tempura, sukiyaki meals to share. We hadn't ordered any of that because we wanted to save room for the rolls. Oh well. Maybe next time, if there is a next time.